On fall mornings, it isn't unusual to see water on the grass. It didn't rain, so why is everything wet? What you are seeing is dew. This water forms on objects, particularly in the morning or evening hours, due to condensation of moisture in the atmosphere. 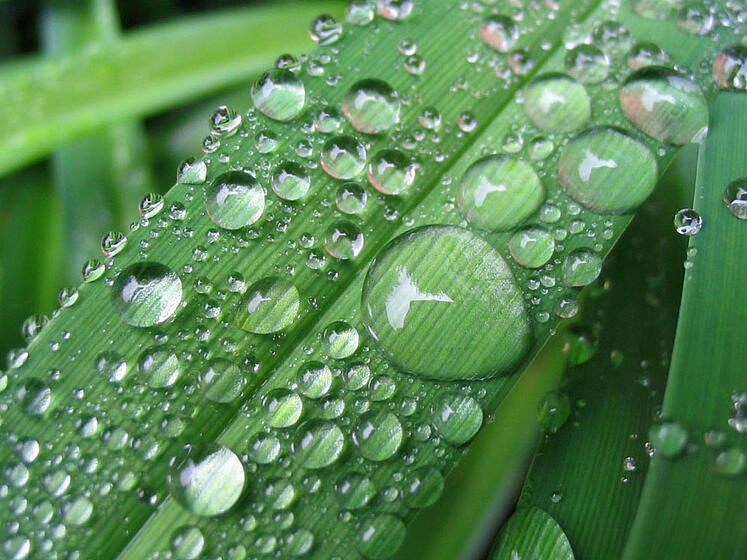 Places that you may encounter dew on a frequent basis include the grass, car, or even the street in the morning. The process that makes dew is the same that causes mirrors to become steamy after a hot shower or the windows of your car to fog up on a cold night. While dew occurs very frequently not everyone knows the science behind it or when it is likely to happen. The first thing to understand is that the air always contains some amount of moisture or water vapor and that changes from day to day and hour to hour. Additionally, the amount of water vapor the atmosphere can hold is determined by the temperature. The higher the temperature, the more moisture the atmosphere can hold and subsequently as the temperature drops the amount it can hold falls as well. This is why dew tends to form in the evening or early morning hours as the temperatures drop low enough for the atmosphere to be saturated. There are many ways in which meteorologists measure the moisture in the atmosphere, the most familiar is relative humidity. This number shows how close the atmosphere is to being nearly saturated. However, the number that is most useful in telling when dew will form is appropriately named “dew point temperature” or just “dew point." As the name suggests, this is the temperature the atmosphere must get to for dew to form. Just like air temperature, the dew point is measured in degrees. To tell if dew might form, looking at the forecasted low and the dew point temperature. If the forecasted low temperature is below the dew point temperature, dew will likely form whenever that low occurs, which may or may not be at night. If the temperature is cold enough, you will see frost instead of dew. This coating of ice occurs when objects, like the grass or your car, cool to a temperature at or below freezing. 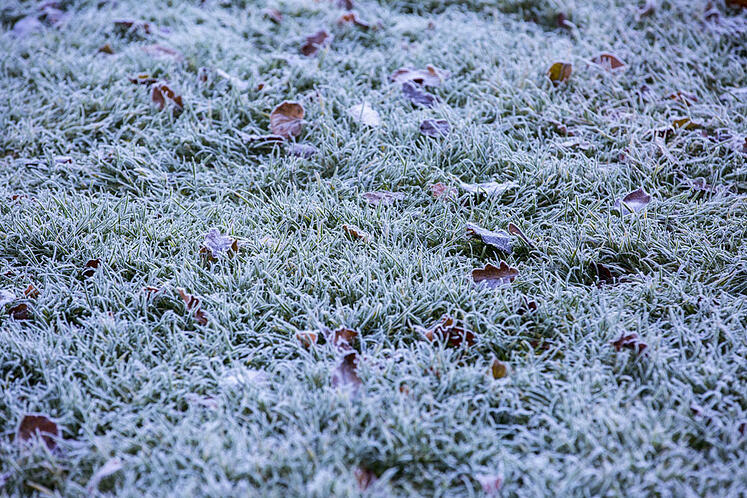 As winter approaches, you can expect to find frost outside as opposed to dew.